The Playground Program in Community Services maintains standards and practices for the City's public playgrounds. We are committed to ongoing monitoring of existing playgrounds and continual research of the playground industry to establish best practices for accessibility. Minor accessibility improvements to existing playgrounds can be made on request. In the Playground Redevelopment Program accessibility improvements are made when the playground comes up for replacement. We hope these play features will let more children have fun and memorable playground experiences in our public parks. To date the City, universal swing seats have been installed in close to 50 out of 255 playgrounds. 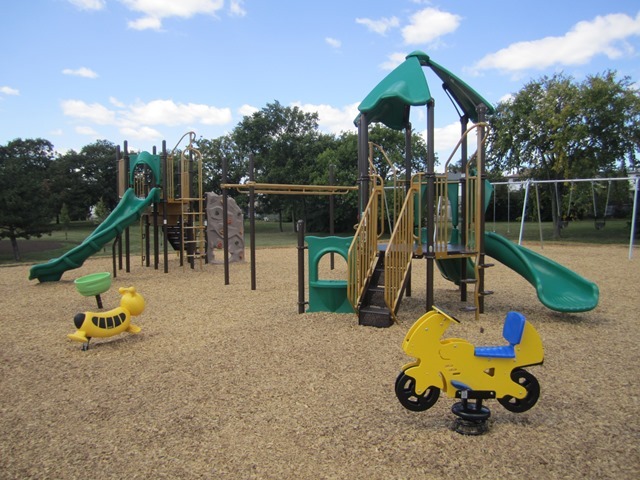 Rubber surfacing is only found in destination playgrounds due to cost and short life cycle. 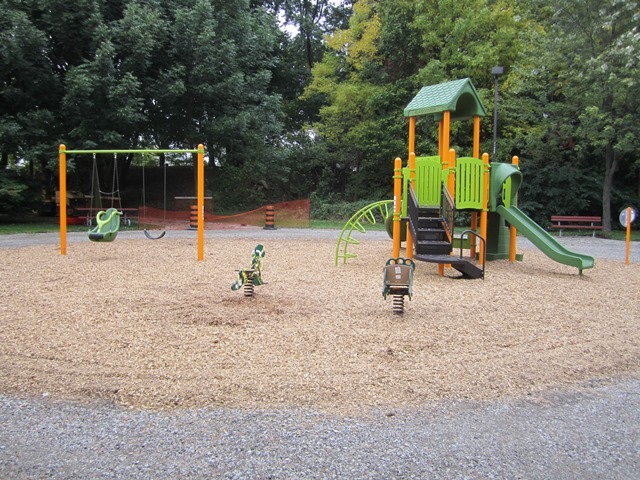 Playground mulch is doable within existing budgets for neighbourhood playgrounds. 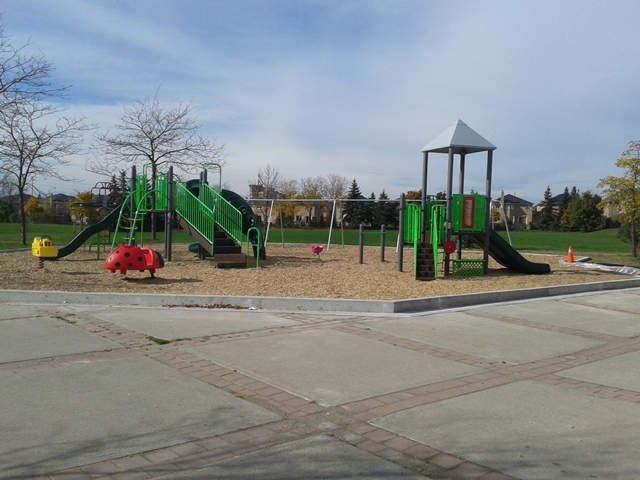 Other municipalities use playground mulch for neighbourhood parks. Wheelchair ramps are not used in neighbourhood parks due to cost, space requirements, and low play value for the dollar. Instead we use a transfer platform and a variety of other ground-level play experiences. Pre-qualified product lines (up to 2020) for play value, variety, durability based on field inspections. For life cycle replacement, we rank and prioritize playgrounds by structural condition and other factors, with a life span of typically 20-25 years before a playground is replaced. Changes are based on field testing other municipalities' large accessible playgrounds [such as Oriole Park in Toronto, Pine Glen Park in Oakville, and Crosby Park in Richmond Hill] and adopting the best features where possible to small community playgrounds within existing budgets. The City's approach to large fully accessible, barrier-free playgrounds with rubber surfacing is to provide one in each of the 6 Service Areas, ideally at a city-wide destination park (with parking, shade, pathway lighting, and ideally a washroom).These fully accessible playgrounds are not part of the Playground Program, which focusses on the 240 plus neighbourhood playgrounds, but do use these standards as a starting point in their design. Current CSA Standards, including Annex H of CSA Z614 (Children's playspaces and equipment that are accessible to persons with disabilities). Informal feedback from Councillors and the public.